4865 Du Souvenir, Laval, QC H7W 1E1. Tel. (450) 973-3773. Pastor: Archimandrite Nektarios Mostratos. 20 Brunswick Blvd., Dollard-des-Ormeaux, QC H9B 2N8. Tel. (514) 727-2236. Pastor: Fr. Lambros Kamperidis. Speaker: Fr. Elie Touma. 3780 Du Souvenir, Laval, QC H7W 1Y3. Tel. (514) 693-1634, (514) 934-0539. Pastor: Fr. Zisis Nterekas. Speaker: Fr. Lambros Kamperidis. 2014, Saint-Urbain, Montreal QC. H2X 3X8. Tel. (438) 345-1680. Pastor: P. Dragos Giulea. Speaker: Fr. Ihor Kutash. 6250, 12e Avenue, Montreal, Q.C. H1X 3A5. Tel. (514) 727-2236. Pastor: Fr. Volodymyr Kouchnir. Speaker: Fr. Jean El Murr. Information: Fr. Ihor Kutash (514-591-5329). His Beatitude Metropolitan Tikhon will preside at Liturgy this Sunday morning, May 3rd in the Sign of Theotokos Church (750 St Joseph Boulevard East ). The beginning is at 9:30 am, please make every effort to be on time. Dear parishioners and all orthodox believers of Montreal! Second Sunday of Lent, March 8, 2015: St. Dionysius Greek Orthodox Church, 7707 La Salle Blvd., Montreal, QC H8P 1Y5. Tel. (514) 364-5442. Pastor: Fr. Panagiotis Pavlakos. Speaker: Fr. Jean El-Murr: “St John Chrysostom: On the Poor”. Third Sunday of Lent, March 15, 2015: St. Sophie Ukrainian Orthodox Cathedral, 6250 12th Avenue, Montreal, QC H1X 3A5. Tel. (514) 727-2236. Pastor: Fr. Volodymyr Kouchnir. Speaker: Fr. Panagiotis Pavlakos: “St. Dionysius of Zakynthos: The Power of Forgiveness”. Fourth Sunday of Lent, March 22, 2015: Archanges Michel et Gabriel Église orthodoxe roumaine, 2430 Avenue Charland, Montréal, QC H1Z 1C1. Tel. (514) 334-4384. Curé: Père Constantin Ciubotariu. Conférencier: Père Ihor Kutash: “Saint Égal-aux-Apôtres Grand Knyaz’ Volodymyr de Kyiv: Un souverain chrétien”. 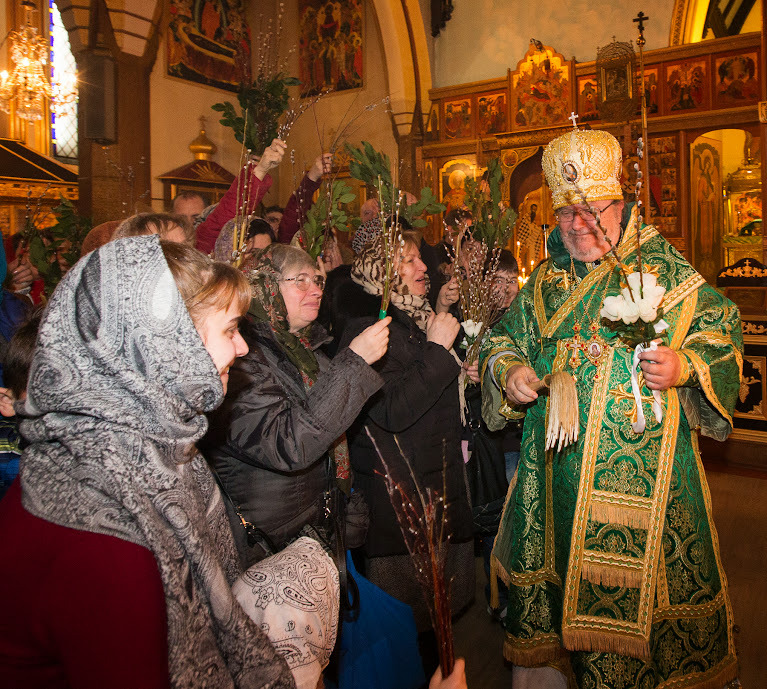 Fifth Sunday of Lent: March29, 2015: St. Nicholas Russian Orthodox Cathedral (to be confirmed), 422 Boul. St-Joseph ouest, Montreal, QC H2V 2P5. Tel. : (514) 276-8322. Pastor: Fr. George Lagodich. Speaker: Fr. Elie Touma: topic to be announced. Information: Fr. Ihor Kutash, Secretary (514-591-5329). Holy Unction or anointing of the sick. Reading of the 12 Passion Gospels. Holy and Great Saturday. Annunciation. Blessing of Easter bread and eggs in the Great hall. Blessing Easter bread and eggs in the Great hall. Great Vespers with Procession. Blessing Easter bread and eggs.